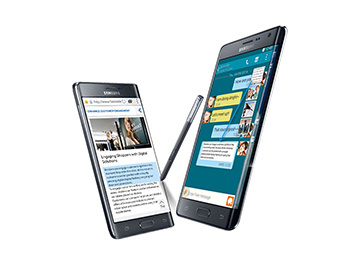 With a Smart Edge screen that wraps around the edge of the 5.6-inch display, authentic S Pen experience and advanced camera system, the Galaxy Note Edge is perfect for being productive and creative. Access apps, check the weather, get notifications or control your music using the curved Smart Edge display - leaving the main 5.6-inch Quad HD Super AMOLED display free to enjoy without distraction. 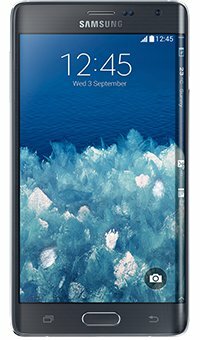 Multitask with ease and access apps with full, split or pop-up screens with the Galaxy Note Edge's enhanced Multi Window functionality. 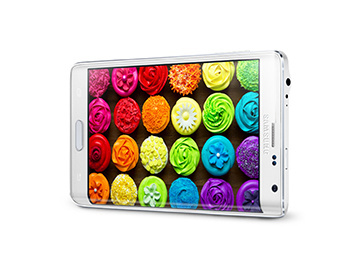 Galaxy Note Edge has a range of new features to create, collect and share content quickly and easily. S Note helps you get everyday tasks done more efficiently, while Snap Note lets you take a picture of your notes and annotate them. And Smart Select allows you to piece together content from different places and share easily. 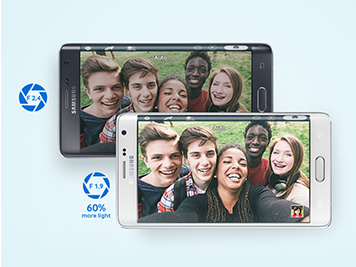 With a powerful 16 megapixel camera you can capture even brighter and clearer images. The smart optical image stabiliser prevents blurry shots, even in unsteady hands, and real-time HDR brings colour and brightness to life. The 3.7 megapixel front-facing camera with wide angle mode and improved aperture takes better selfies, even in low light.